Trend Micro Incorporated a global leader in Internet security solutions, today released the beta version of the Trend Micro™ Titanium™ Maximum Security 2013, Trend Micro™Titanium™ Internet Security 2013, and Trend Micro™ Titanium™ for Mac 2013. The surging popularity of social media may have ranked the Philippines as the no. 1 social networking market in Asia, but it has also put us no. 1 in terms of risk when it comes to cyber crimes and cyber threats which lurk these social networking sites. “Social networking easily enables its users to connect to their peers and colleagues through adding friends or joining groups, which enable them to build a network conveniently. However, the same characteristic of such social media sites is also its weakness, as it makes the user extra vulnerable to viruses, threats and cyber crimes which, in contrast, cause a great deal of inconvenience,” Myla Pilao, Core Technology Director of Trend Micro said. Global cloud security leader Trend Micro, producer of threat management solutions for businesses and consumers, recently released a report linking China-based hackers to an an advanced persistent threat (APT) the security industry is calling the Luckycat campaign. The Luckycat campaign has been active since at least June 2011. First documented by another antivirus company this year, the Trend Micro report showed a more detailed picture of the workings of Luckycat. 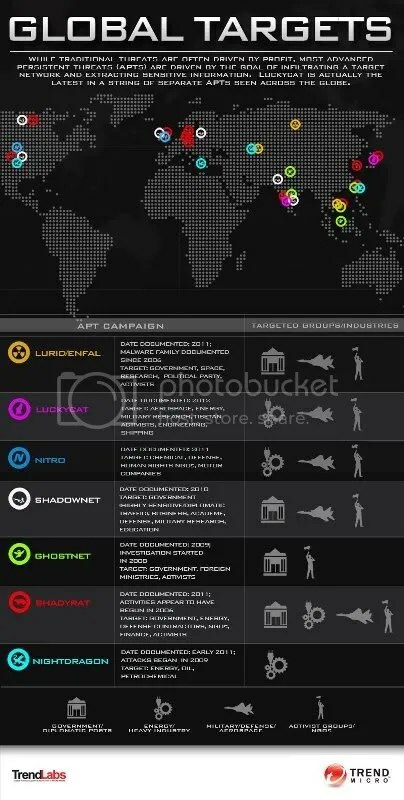 It is a sophisticated cyber-espionage campaign that attacked a diverse set of more than 90 targets. The attackers used a variety of methods, some of which have been linked to other cyber-espionage campaigns and even tagged their attacks with campaign codes to measure success. Not only did the Luckycat perpetrators target military research in India as reported, they expanded the attacks to hit other sensitive entities in Japan, as well as India, including heavily targeted Tibetan activists. (Front L-R) Mr. Alfred Tong, Managing Director , Equicom Inc., Mr. Goh Chee Hoh, Managing Director—Asia South Region, Trend Micro, Mr. Eugene Ang, Vice President, Creative Technologies, (Back, L-R) Mr. Peter Lingatong, VMWare group Head, Equicom Inc., Mr. Jefferson Lat, Country Sales Manager, Trend Micro, Mr Jacob Dy, Vice President, Creative Technologies and Mr. Jefferson Dy, Vice President, Creative Technologies. Leading cloud security provider Trend Micro recently recognized two of the biggest names in the local IT distribution industry as their Affinity Platinum Partners—Creative Technologies Inc. and Equicom Inc. The Affinity Platinum Partnership enables Trend Micro to provide support, resources, and rewards to build stronger relationships with its partners. “Creative Technologies and Equicom are two companies that have been partners with Trend Micro Philippines for long a long time . They helped us expand our customer base while maintaining existing ones.They are key in elevating our success, which is why we are honoring them in our 2012 Partner Day. 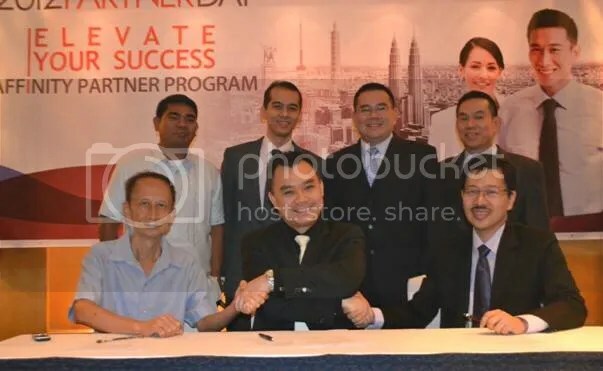 We are looking forward to working with them in the coming years as we continue our mission of securing our customers’ journey to the cloud,” said Jefferson Lat, Trend Micro-Philippines country sales manager. “Moreover, we’re working towards having more recognized partners like Creative Technologies and Equicom in the future,” Lat added. With almost 28M Filipinos actively logging in to Facebook everyday and sharing the most mundane to the most intimate details of their lives, security experts are campaigning for data privacy awareness. 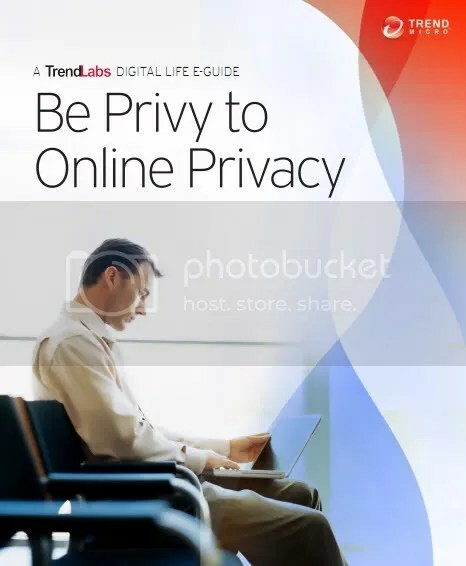 Trend Micro, the largest pure-play security provider and a leader in Cloud security, joins the National Cyber Security Alliance and several other notable institutions in celebrating Data Privacy Day to champion data security. Data Privacy Day is an annual celebration designed to promote awareness about privacy and education about best data security practices.Ultimately, it aims to get the public aware of the many ways personal information are collected, stored, used, and shared. This day also aims to educate individuals about data security practices to enable them to protect their personal information. Trend Micro Incorporated, exposed a Russian national in his 20s who has been targeting users in the US and Asia. The attacker goes by the name “Soldier” in the criminal underground. This specific attacker has been successful in increasing his network of infected users and has also and also has been known to buy traffic from other cybercriminals. Besides using malware to steal money from the compromised accounts, user security credentials were also stolen.